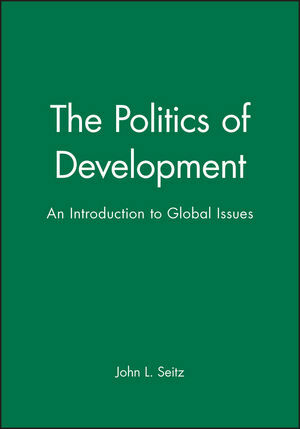 The book focuses on the role political processes play in solving certain key problems which have accompanied economic development in both the developed and less developed nations of the world. By breaking down the factors which define development into clear cut categories, namely population, food, energy, the environment, and technology, the author offers a useful approach to understanding the problems the world is facing today and will continue to face for the foreseeable future. The text provides a useful guide and resource for those who wish to grasp the implications of the rapid growth of the world's population, world hunger, the threat of nuclear war, uncertain energy supplies, acid rain and deforestation. John L. Seitz is Associate Professor of Government at Wofford College in Spartanburg, South Carolina. He holds a PhD in Political Science from the University of Wisconsin-Madison. Professor Seitz has spent eleven years working for organizations which are concerned with economic and political development in the Third World. His work has taken him to South Korea, Iran, Brazil, Liberia, and Pakistan.